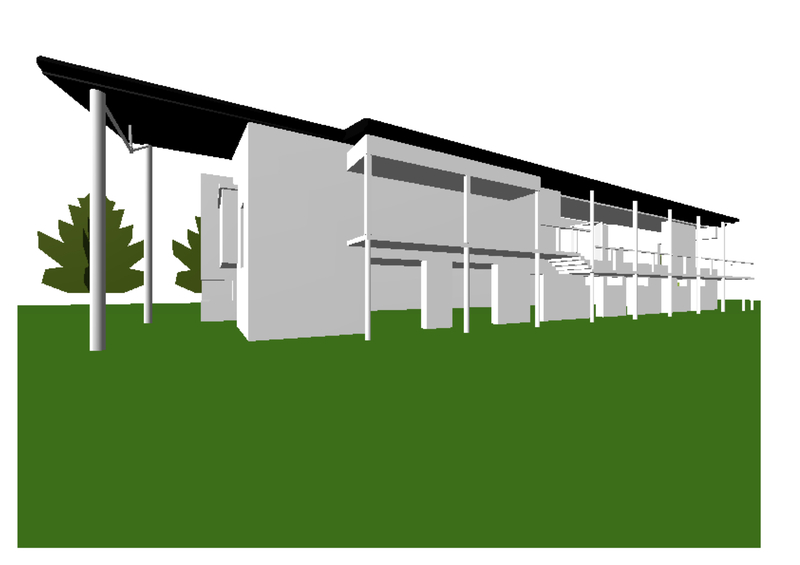 The soccer clubhouse design was planned as a compact narrow block to minimise impact on the width of the existing pitches. Changing rooms and bar/pitch storage are accommodated at ground floor level. Bar/function room, configured as a sub dividable open plan space are located at first floor level to maximise views over the pitches. A covered external first floor terrace is stepped below floor level to allow unobstructed views from inside.